I always say when I’m stressed, I bake. Well, the same goes for when I’ve just had a bad day, and man did I have a rough day this week. I knew the best thing I could do was bake, and off I went to grab some flour and eggs and bake up some Pumpkin Biscotti. 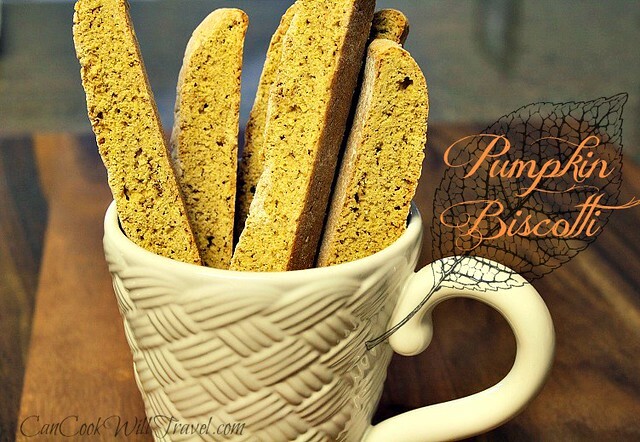 It was quite fortuitous really, because I had planned to bake something this week with pumpkin for the Fall and found this great Pumpkin Biscotti recipe thanks to the site Cupcakes & Cashmere (what a cute name!) which led me to the recipe at Simply Recipes. So I turned up my oven and went to my happy place. Wondering why I picked biscotti? Well, why not?! Okay I kid, I kid. I’ve made biscotti once and the process is pretty interesting where you double bake the dough to get it nice and crispy. Now typically I love a soft, chewy cookie, but I figure biscotti is a solid excuse for a second cup of coffee in the day. I had pretty much everything on hand (score! ), so I stocked up on some pumpkin purée and grabbed some cloves and I was all set. Just sift together your dry ingredients. Then whisk the wet ingredients, and mix the two together until you have a crumbly dough. Turn the dough onto a floured work surface and knead it until it comes together. Shape it into a rectangular shape. You’ll need lots of flour because the dough is pretty sticky. I ended up shaping the dough with my hands and then using my rolling pin to get it to the desired size. Probably the most difficult part was transferring the rolled out dough to a lined cookie sheet. I grabbed my handy-dandy bench scraper and used my super swift ninja skills to transfer it. Bake the dough until it’s firm and then let it cool for 15 minutes. Cut the dough into 1/2-inch to 1-inch strips and bake it again. Once it’s cooled completely enjoy. 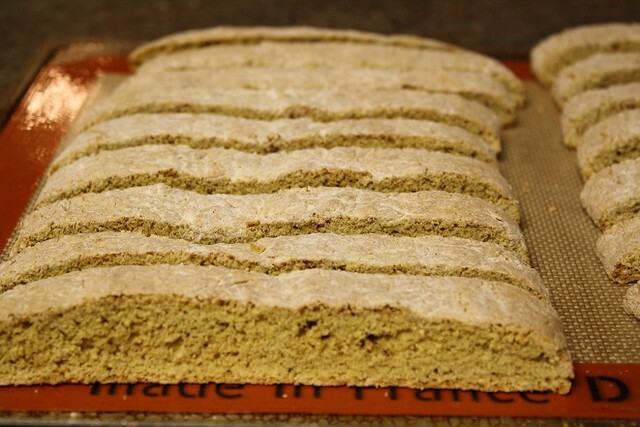 For more crispy biscotti just let it sit and dry out a bit more. Since I value my teeth, I didn’t want them uber crispy, but to each his own. For a delightful smelling kitchen, and a terrific companion to your coffee, hot chocolate, or hot tea (pick your fav), click here for the recipe and step by step instructions. One year ago: Sinfully Good Dip! This recipe sounds so good. I have got to try this one and SOON! !